There is nothing better for making the office space more pleasurable, healthy and welcoming than the addition of office plants. The wide range of interior plants means the exact look of the business environment is thoroughly customizable to the desires of employers and employees alike. Improving the aesthetic of the office environment is vitally important for the comfort and well-being of the office workforce and can also play a great part in projecting a positive corporate image when welcoming clients into your business. 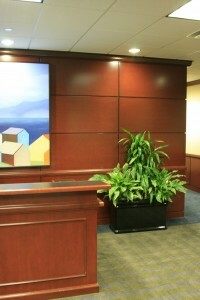 There are many benefits and advantages to the installation of office plants. It is widely proven that interior plants can vastly enhance the business atmosphere and working ambiance, boosting the well-being of the workforce and raising efficiency and productivity levels. The drab and conservative aesthetic of the average office space can be reinvigorated and revitalized with the addition of the glowing greenery of office plants. When a company shows it is conscious of its environment it suggests their commitment to ensuring their stylish corporate image matches their strong reputation for great business. Furthermore, with eco-friendly protocols such an important standard in today’s business world, interior plants can symbolize a company’s corporate social responsibility and dedication to meeting environmental duties. 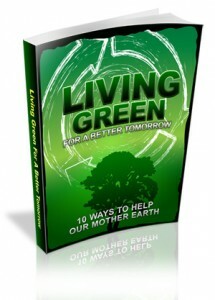 A green office environment speaks suggests a green business ethic. The corporate workforce will greatly benefit from the uplifting effect of office plants, which have been proven to radically reduce stress levels and the absenteeism it can cause. Naturally, this also enhances staff well-being and boosts productivity. Just as important as the aesthetic and stress reducing effects brought about by installing indoor plants are the very real physical benefits created by the natural chemical processes of plants which raise humidity levels and reduce air pollution. There are dangerous toxins which build up from the materials used in computers, furniture and plastic fittings, not to mention the chemical residue of cleaning products. Office plants naturally absorb and nullify these dangerous chemicals while also increasing air humidity, which eradicates the dry conditions in which germs thrive, thereby helping employees to stay well and avoid unnecessary absence. Office plant maintenance is extremely simple, many of the indoor plants are extremely hardy and very little time needs to be invested in maintaining healthy plants through a quick cleaning process and watering. The advantages from having office plants are clear. Employers will enjoy the psychological and physical benefits which result from indoor plants, while visiting clients will be impressed by their pleasurable surroundings when engaging in that all important initial handshake.